July 22, 2010: The Holy Month of Ramadan is all about reflecting on the values of generosity, charity, gratitude, solidarity and compassion. Contemplate the values of the Holy Month, marvel at the bountiful splendour of nature, cherish the achievements of mankind working in unity – from the world’s highest observation deck with an outdoor terrace. At the Top, Burj Khalifa, on Level 124 of the world’s tallest building, is celebrating the Holy Month of Ramadan with special timings and an unprecedented and first-time ever opportunity to break your fast from a vantage location. Guests can reflect on the spiritual values of the Holy Month, watch the sun set into the scenic horizon of the Arabian Sea, and break their fast with dates, complimentary of La Ronda Dates, and water, complimentary of Masafi Mineral Water, from At the Top, Burj Khalifa, this year. 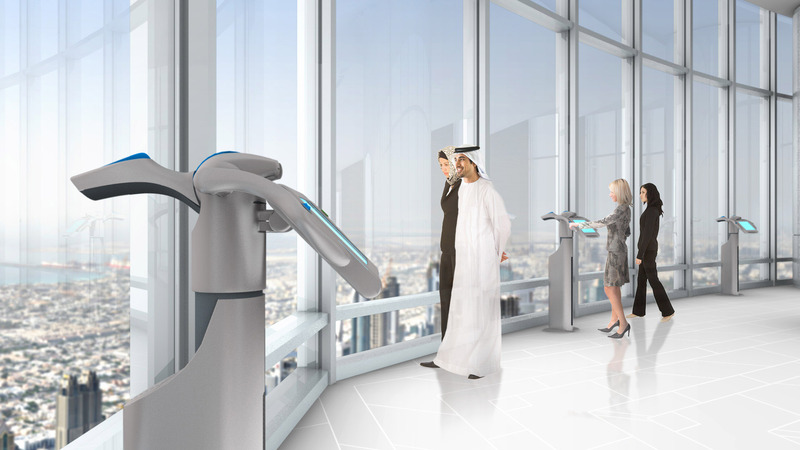 The observation deck opens to sweeping 360 degree views across the Arabian Gulf and the surrounding Emirates, with the ethereal guest experience likened to that of sitting on the wing of a plane. After dusk, visitors can spend time till midnight at the observation deck, enjoying the spectacular sights of the city sparkling in a million lights. They can also watch The Dubai Fountain, the world’s tallest performing fountain, swaying to the rhythm of melodious music. In addition to the view, the journey to At the Top, Burj Khalifa is educational and inspirational. Learn all about the grandeur of Burj Khalifa, and the history of Dubai and its evolution through impressive sight and sound displays. High speed express elevators take visitors to Level 124, transporting them to a world of scenic vistas. From August 10 to September 9, At the Top, Burj Khalifa will open daily from 5pm to midnight. Admission is AED 100 for Adults and AED 75 for Children up to 12 years. Tickets are time stamped in 30 minute intervals to enhance the visitor experience and to avoid long queues. Fast-track entry tickets are priced AED 400 per person and subject to availability. With only limited tickets available for the Iftar Evenings At the Top, log on to www.atthetop.ae and purchase tickets early to avoid any disappointment. All tickets purchased will receive an AED 50 voucher from Na3 Na3 and Ember Grill restaurants at The Address Dubai Mall, to continue with the Iftar celebrations. Terms and conditions apply. The entrance to At the Top, Burj Khalifa is located in The Dubai Mall’s lower ground level. Tickets can be purchased online at www.atthetop.ae or directly from the Ticket Counter. For further information contact 800 AT THE TOP (800 28 843 867).